It's said that Buffalo, NY is great because it's in the middle of a bunch of cities. We are close to Toronto, Cleveland, Syracuse and more ~ which means as a business owner I get to meet lots of cool people from places near and far. A while ago a customer came into my shop from Rochester, NY. 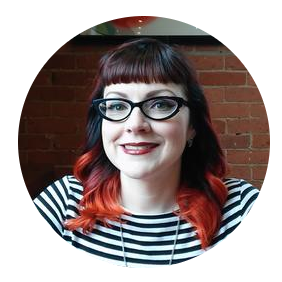 We got to chatting and found we share similar interests in tiki culture, horror movie monsters, and goth music. He runs a gothic garage sale a few times a year and invited my husband and I to stop by. Well this past weekend was the first time we could go. We drove an hour east to Rochester, NY and our first stop was The Record Archive. If you're into records, they have a ton. It's actually quite intimidating. If you're not into records they have T-shirts, kitschy gift items, a few vintage clothes, and even a little night club attached to the back of the building. Well worth the trip alone. Next we grabbed a bite to eat at the Genesee Brewhouse. 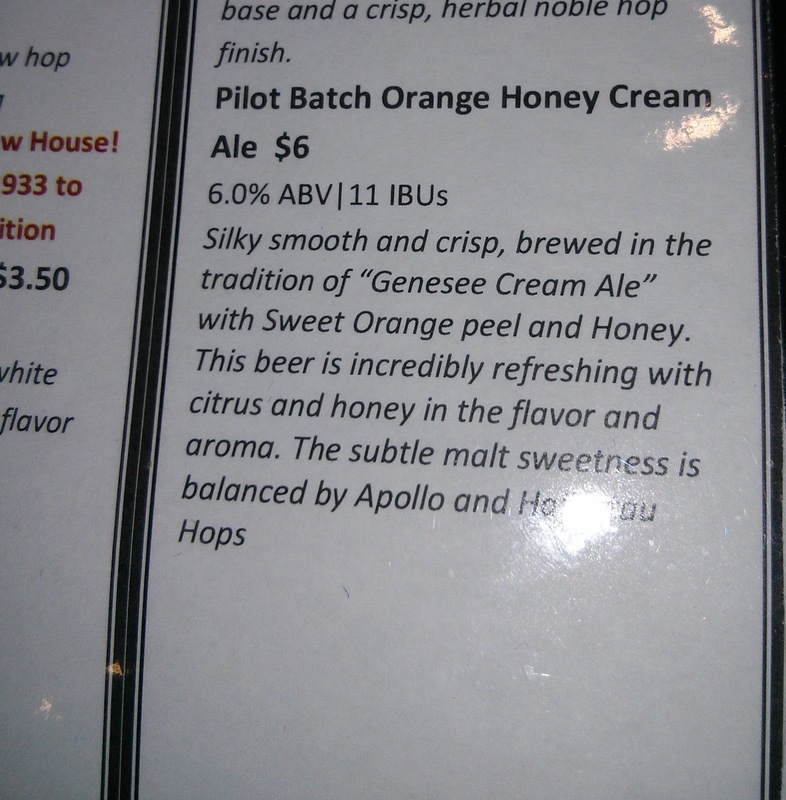 I'm not super into craft beer, but I know what I like. 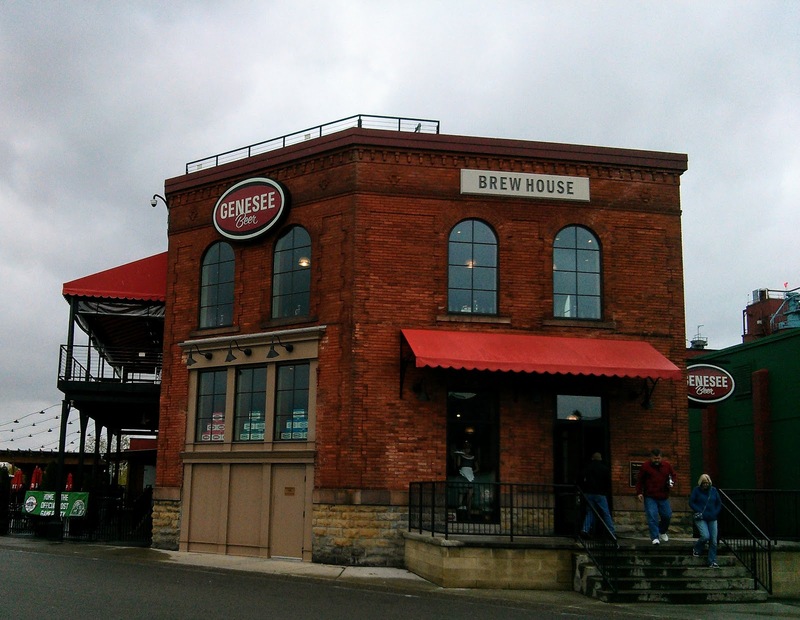 A go-to for me is Genesee Cream Ale. (Please don't judge. lol.) 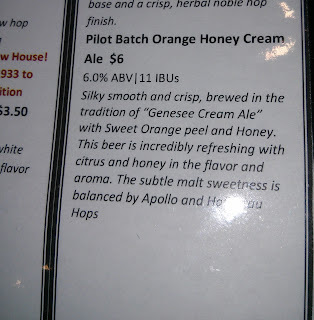 I opted for a new beer that just came out called Orange Honey Cream Ale. Yum. It's my new fav. Finally we ended up at the Vertex Late Risers Alternative and Gothic Garage Sale. The sale takes place in the local goth bar, the Vertex. 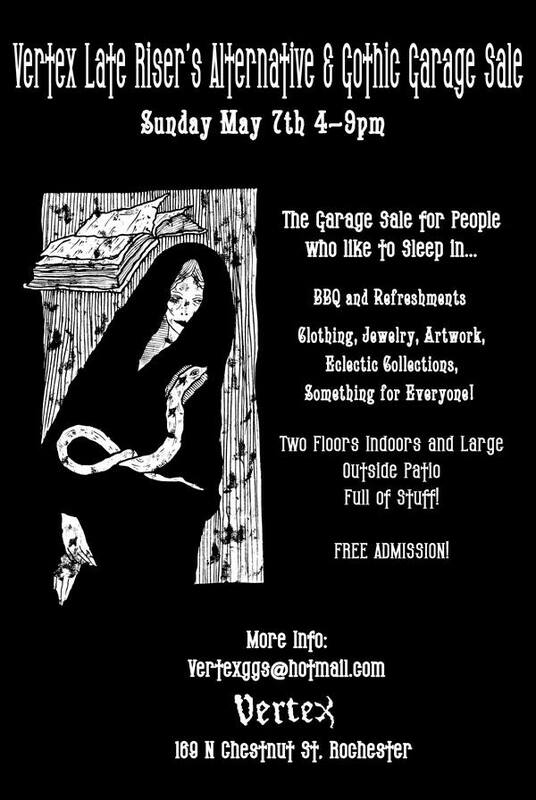 It's a great venue with three floors and exactly what you would expect at a "gothic" garage sale, a little vintage, some handmade jewelry, candles, and artwork, and lots of goth clothes, shoes, and everything creepy. 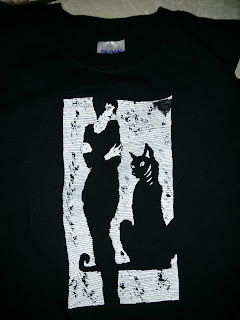 I picked up a hand printed T shirt with original artwork on it (of a cat, duh) and a vintage black Japanese cat. 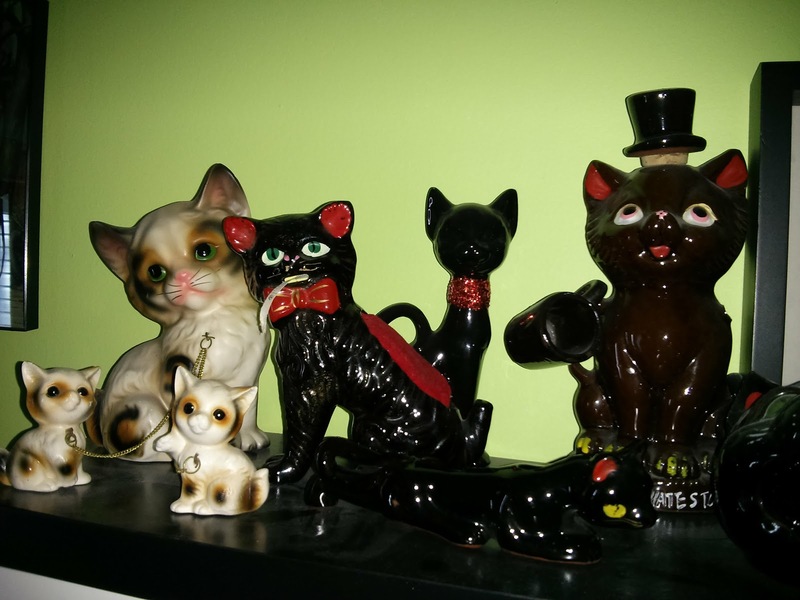 I have a small collection of them. BONUS ~ the bar was open, the music was on, and they were serving BBQ! What's cool is this is something that brings the local alternative community together, sure you can go to the club, but in this environment you don't have to yell over loud music and you can mix and mingle over a Frankenstein painting or chat about the pros of platform shoes and it's not pretentious or judge-y. If you're in the area, I recommend it. I'm really looking forward to the next one! 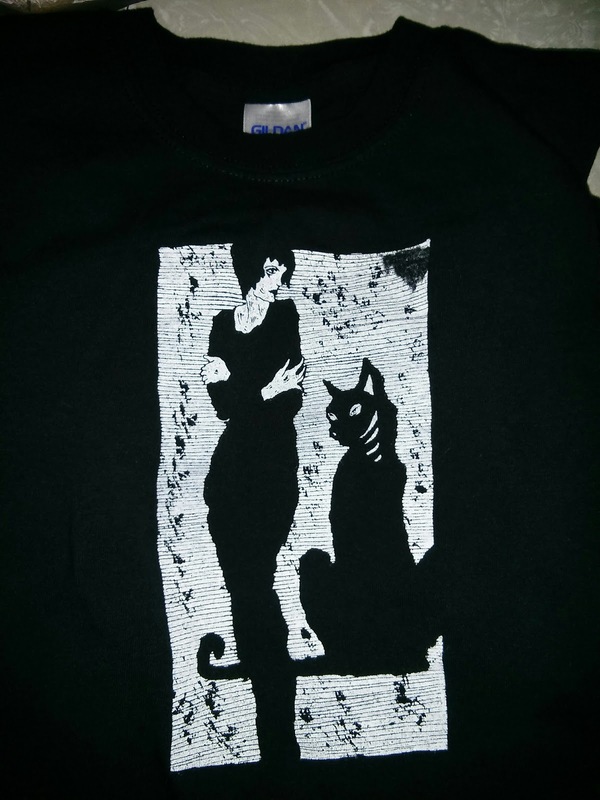 Do you have a similar alternative garage sale near by?